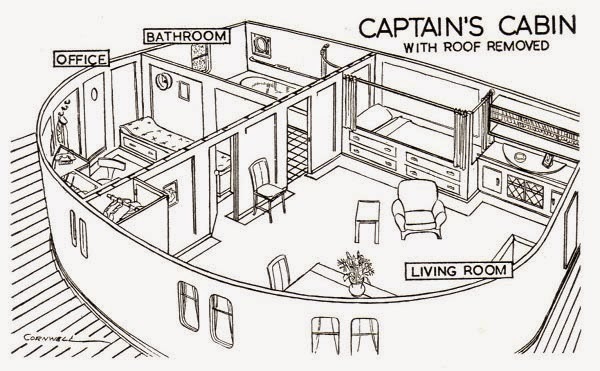 The cutaways that original Dan Dare artist A Bruce Cornwell produced for Eagle comic and its associated books were covered in Bear Alley here . While the art that Bruce Cornwell produced for Eagle remains his best known work, it was just a small part of what he produced over the years. 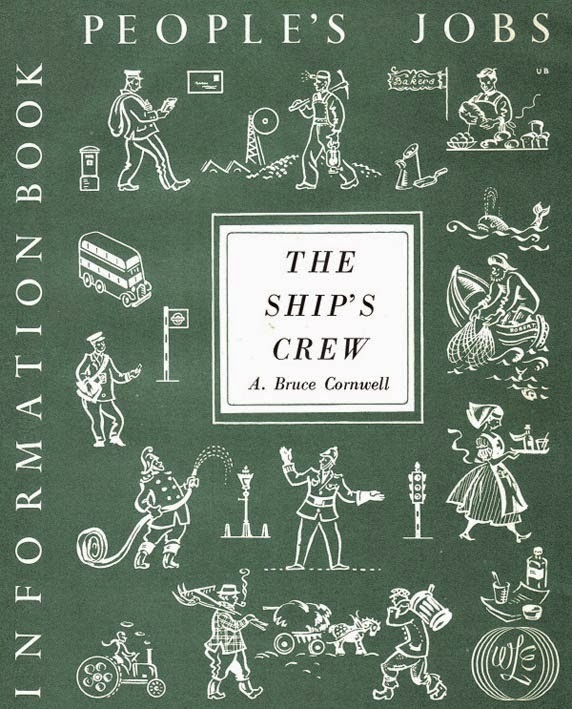 In 1953 he wrote and illustrated The Ship’s Crew, one of the Educational Supply Association’s series of books entitled People’s Jobs. While it is little known now this book proved surprisingly popular at the time and in 1955 a second edition was published that was reprinted at least three more times into the 1960s. 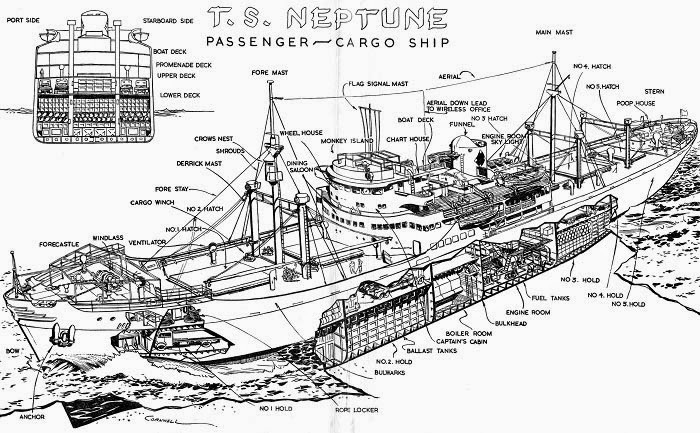 As a former merchant seaman Bruce was able to use his own experience to create a fictional passenger and cargo ship the TS Neptune which the book followed as it loaded passengers and cargo in London and set sail for the Tropics. 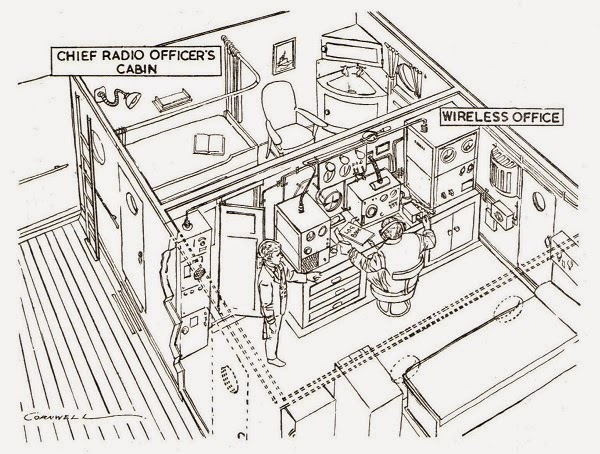 The book featured several cutaways including one of the Neptune itself for the book’s frontispiece, while the main body of the book include clear link cutaways of both the Captain’s cabin and the ship’s Radio Officer’s cabin and office. (The original version of this article was published in Eagle Times v25 #1, Spring 2012. Since this article was first published it has been discovered that Bruce Cornwell’s work for Pilkington Brothers Ltd included cutaways for the Sea City concept that was first announced in 1968 and was featured in the TV21 annual cover dated 1971).